The draws for the 2018 tournament are shown below, which can be selected using the tabs at the bottom. Draws from previous tournaments will be added here in due course, but can always be found in the annual tournament reports which are accessible from the Champions page. In case of visibility problems, you may have to manually refresh the page to view the content, or update your browser to a more current version. 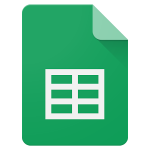 Alternatively you can view the Google Spreadsheet by following this link.